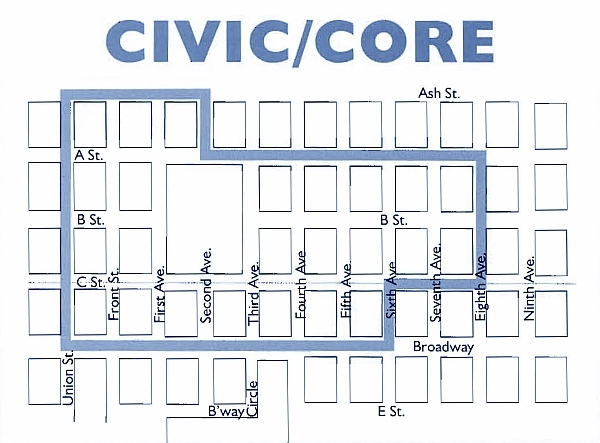 The heart of San Diego’s central business, government and office district extends from Ash Street to Broadway and Union Street to Eighth Avenue. The area also features major arts-related venues, such as Copley Symphony Hall and the San Diego Civic Theatre. Restoration and revitalization of several historic buildings continue to add residential units, public parking, and retail and commercial space.